On her website, Clinton provides positions on over thirty-five issues, while Trump lists positions on just thirteen issues, a number that has grown from a mere seven positions a month ago. 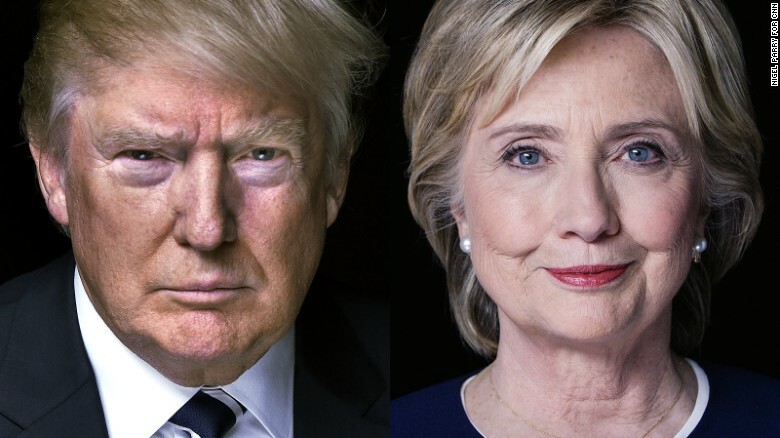 Trump and Clinton’s stances on immigration differ dramatically. While the Trump campaign frames immigration as a source of tremendous economic turmoil and a gateway for crime into the United States, Clinton devotes much more of her rhetoric towards demonstrating compassion for immigrants. 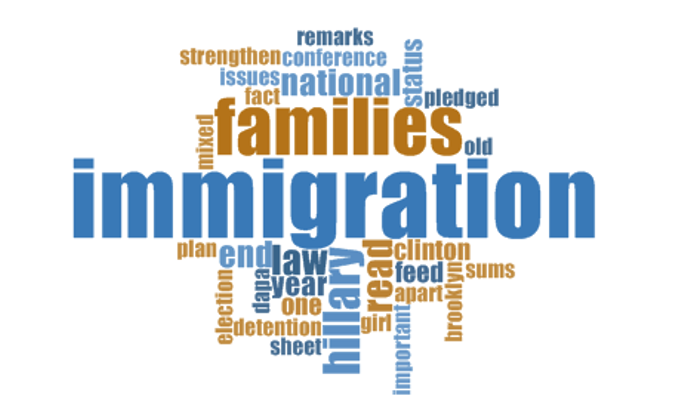 After “immigration,” the most commonly used word on Clinton’s immigration webpage was “families” (16 uses), while for Trump it was “illegal” (18 uses). 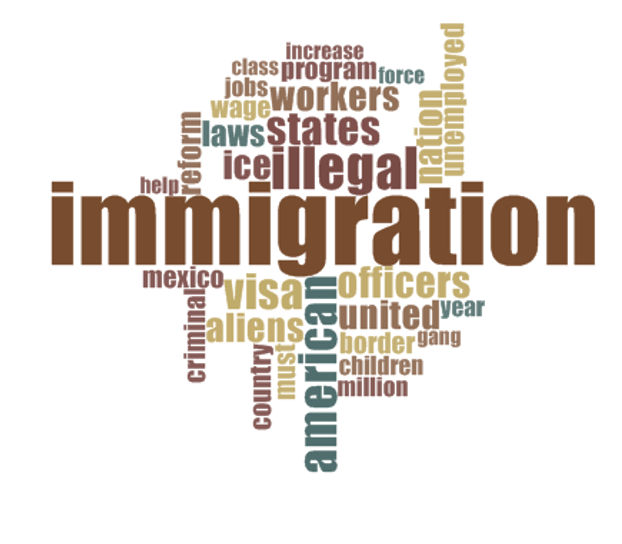 Other common Trump words include: “visa,” “states,” officers,” “aliens,” and “ICE” (Immigration Customs Enforcement). All reflect his conceptualization of immigration as a legal issue that necessitates aggressive enforcement. 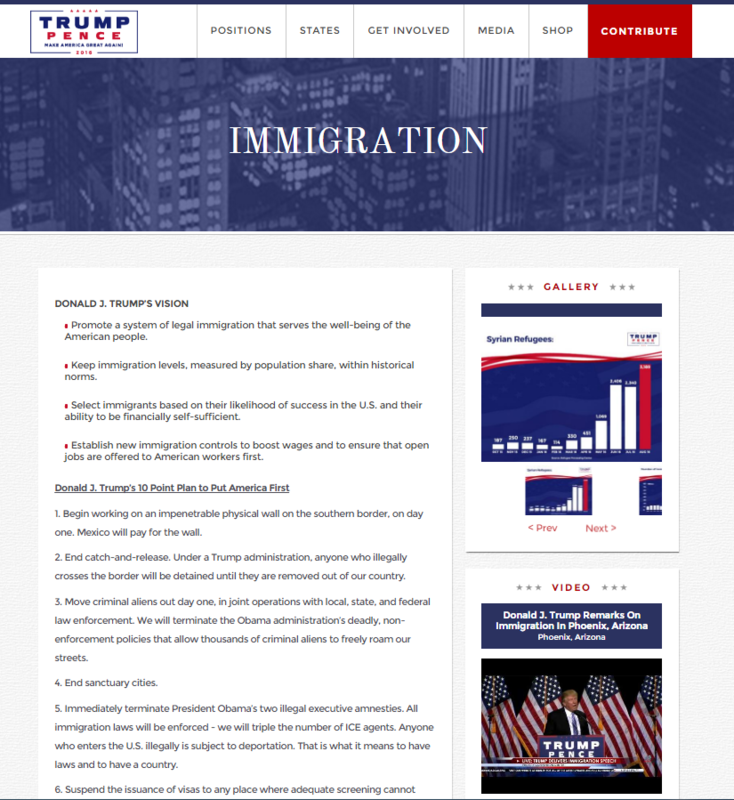 The immigration statement posted on Trump’s website has twelve references to the economy and seven references to crime. Simultaneously framing immigration as a cause for economic and criminal concern, Trump cited the “horrific crimes” border-crossing criminals have committed against Americans. “Us Versus Them” provides a consistent theme. Trump’s platform states, “Real immigration reform puts the needs of working people first – not wealthy globetrotting donors,” once again emphasizing his economic concerns regarding immigration while appealing to working-class Americans. He assures voters that “We will not be taken advantage of anymore” by Mexico. 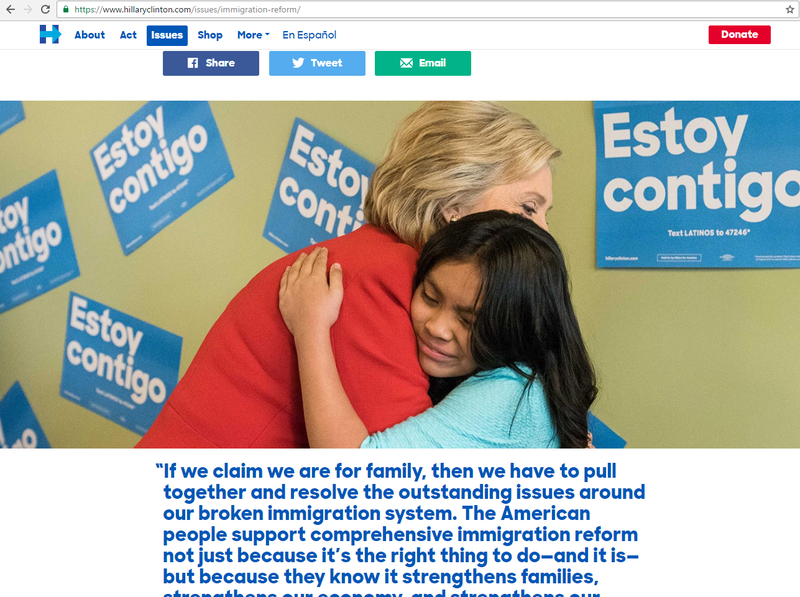 In contrast, Clinton’s position on immigration reform (listed under the “Justice and Equality” section of her issues webpage) uses pro-immigrant and pro-family rhetoric. Clinton refers to immigration as a crime only once. She claims that: “Immigration enforcement must be humane, targeted, and effective,” and that she will “focus resources on detaining and deporting those individuals who pose a violent threat to public safety.” While this part of the statement does frame some immigrants as “violent threats,” it positions most as law-abiding members of families. In stark contrast to Trump, Clinton places a premium on showing compassion for immigrants who face difficult circumstances and emphasizes keeping families together as a top priority of her immigration policy. Clinton states that she would “Do everything possible under the law to protect families.” She “will end family detention for parents and children who arrive at our border in desperate situations and close private immigrant detention centers,” and even ensure health care to all families including those of immigrants.